Otranto, also called “Oriental Door“, faces the Straits that take the same name, the Otranto Canal located on the South of the Adriatic, the most oriental point of Italy. In times gone by it was the chief town of the land and still today it preserves the characteristic aspect of the ancient commercial cities that faced the Mediterranean. It shows itself to the several visitors that each year crowds its coasts and its historical centre is each year sunny and with its oriental charm. During clear days it is possible to catch a glimpse of Albania Mountains that are 70 miles far. To testimony the nightmare of the Turks invasions there are the two sighting medieval towers. The historical centre remained untouched despite the big building expansion. 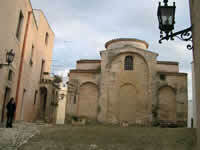 Otranto offers to its visitors the Cathedral that was finished and opened to faith in 1088. 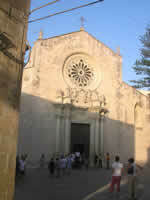 It has a remarkable size and is considered the biggest church of Puglia. It has an incomparable value and the floor mosaic, done by a monk, preserves the remains of the 800 martyrs killed by the Turks. Otranto is also Aragonese castle with the towers, the bastions and the walls. It is also the ancient village with its narrow and winding streets, made of stone; it is the harbour that has always had a remarkable importance for its trades with the Orient and last, but not least, it is the crystal and limpid sea rich of dunes, gorges, grottos and inlets that with the presence of the Alimini Lakes makes this town really charming to become love at first sight. What schools need are high iq networks and carrier-class reliability to power their wired and wireless visit this website here networks and security.